Are you thinking about introducing STEM concepts (Science, Technology, Engineering and Mathematics) to your toddlers and pre-schoolers? 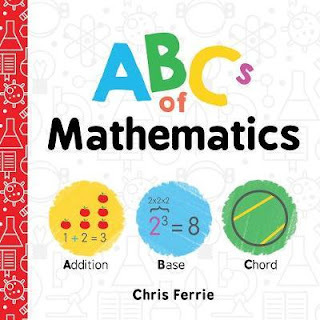 Chris Ferrie's book, ABCs of Mathematics, from the Baby University series, is one way for you and your child to begin exploring mathematics together. The board book, ABCs of Mathematics, introduces simple explanations of complex ideas. It includes concepts from addition to prime numbers and zero. Each page contains four levels of understanding, allowing parents to share information at their child's level of comprehension or inquisitiveness. The first idea on each page is the name the concept eg. 'A is for Addition.' followed by the concept in picture form. The next level of detail given is one sentence describing the concept eg. 'Addition is the mathematics of counting.' While the most complex information is at the bottom of the page in the smallest print. 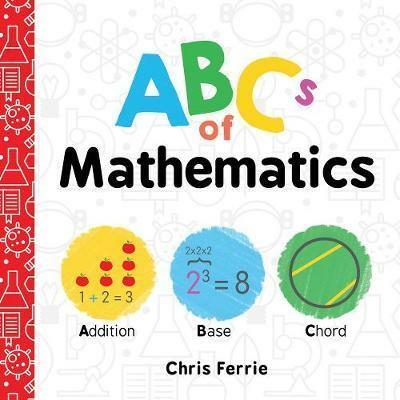 ABCs of Mathematics will be one book that you keep coming back to during your child's educational years. It can be used from pre-school to high school. This book will become a family resource when encountering new mathematical concepts or as a quick reference when a concept is taught at a higher level. Other books in the Baby University series include; ABCs of Science and ABCs of Physics.